So you’ve done your application, sorted your police check, had your interviews, got your flights and been placed at an amazing camp. It’s March and Summer is approaching, fast. Could you possibly be more excited for what is going to be the best summer ever?! Now there’s one final and very important thing you need to do before you can jump on that plane to the USA. You need a visa! Every single person going to America to work at summer camp needs what is called a J1 visa (I’m sure your agency have told you all about it), which is essentially an exchange visa, but also (for some reason) it is the only visa assigned to people working at summer camps. I guarantee when you first look at all the info your agency provide you with for how to go about getting your visa, there will be so many words on the page, so many things you’re not sure you understand, peices of paper titled with numbers and letters (**see bottom of page for brief explanation**), that you will want to run away screaming. Step 2: Go get some US visa photos done. These are not the same as UK passport photos unfortunately. They need to be 600×600 pixels. Get them done at a shop or take the photo yourself against a white wall and resize on your computer. You need a digital copy for the DS160 form and a couple of physical prints to take with you to the Embassy. Step 4: Fill in the DS160 form. This is done online and, while it can seem a little daunting at first, if you just take it page by page, question by question, you’ll be fine. Your agency will usually provide you with very detailed instructions too, and if you get stuck, they will alwasy be happy to point you in the right direction. Don’t try and blag it though – if you mess up the form it could delay you getting your visa. There is also a little question mark next to every question to provide you with help/an explanation of what the question means. The embassy have created this awesome video to help you! Info: You will need to know your parents dates of birth, and the names, phone numbers, email addresses and home addresses of two people (who aren’t relatives) who can verify who you are and why you are going to America. Step 5: Book your visa appointment at the US Embassy. Your agency will provide instructions on how to do this, but basically it is all done online via the government website. Info: Select ‘Non-Immigrant’ visa, follow the instructions and then when it asks what type of visa you are applying for, click on ‘Student’, find where it says ‘Exchange Visitor’, then select ‘J1’ from the drop-down menu. Pay the MRV fee and save your receipt (you will need this to complete your appointment booking). Step 6: Print your SEVIS fee receipt (this was paid for by your agency out of your fees to them). Go to the website, fill in the details and print it off. Step 8: It’s time to go to the Embassy. This is honestly not as scary as it seems. Arrive in plenty of time for your allotted appointment (I would suggest getting there at least 30 minutes early), have all your documents to hand, be polite and be ready to wait patiently for your turn. You’ll know before you leave whether or not your visa has ben granted. I’ve also written a detailed post about what actually happens on the day of your visa appointment at the U.S. Embassy. Step 9: Wait for your passport to be sent back to you. 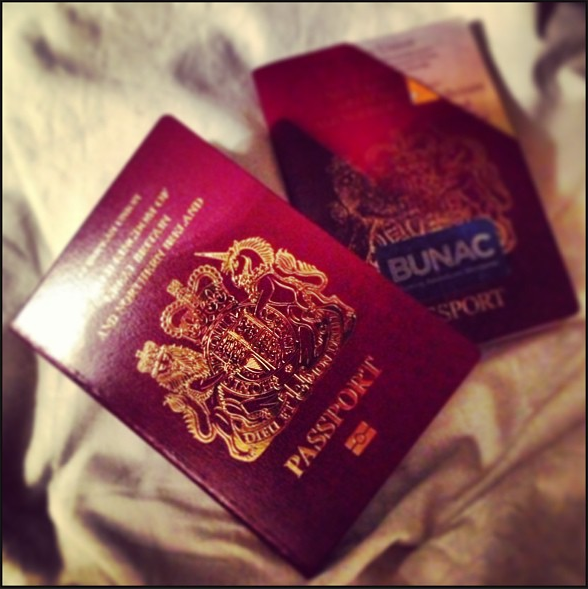 It will take about a week or so to be returned to you (with a lovely, shiny new visa stuck inside). Check everything is correct (i.e. names and dates) and jump for joy… you are going to America! If you need any help at all with the J1 visa process, please don’t hesistate to ask me any questions! **J1 – the name of your visa. DS160 – the form you need to fill in online prior to attending your visa appointment at the embassy. 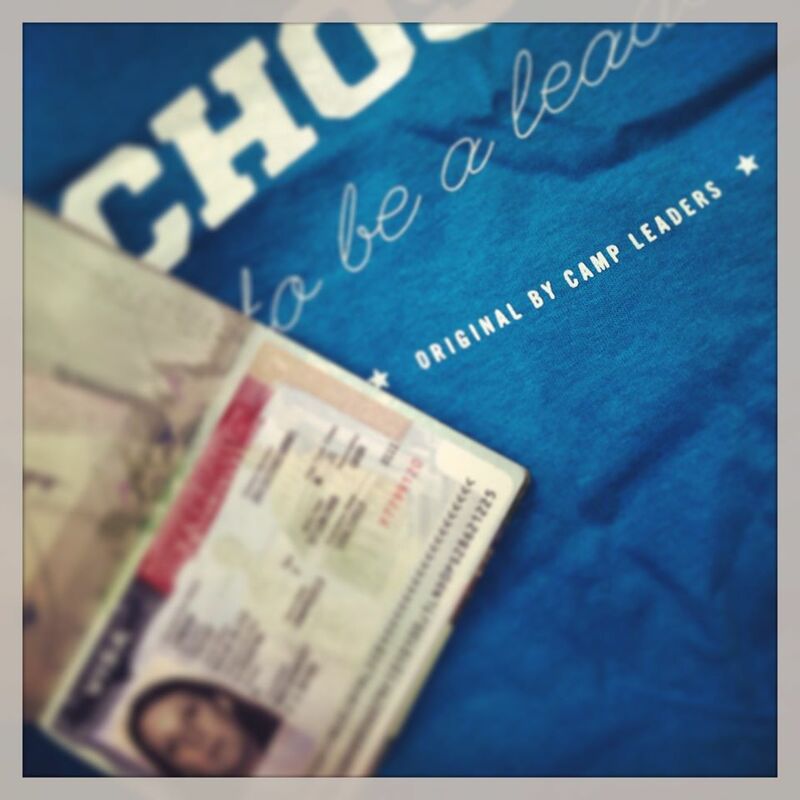 DS2019 – this details everything about your camp and your visa dates. DO NOT LOSE THIS. Keep it with your passport at all times whilst in the USA.